A little while back, I went over a handful of DSLR camera options for anyone who is looking to get started with professional photography. Since I discussed camera bodies, the next step is deciding on some lenses. 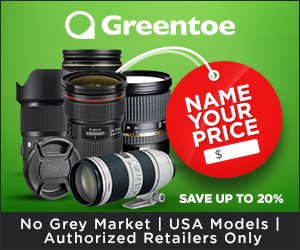 And since we’re still trying to find some good options on a beginner’s budget, the lenses we go over are all on the lower end of the price scale. But don’t let the low prices fool you – there are some quality choices available for those who don’t have a ton of money to spend. Of course, as you progress professionally, you’ll want to upgrade your gear to fit your needs. But we all have to start somewhere. 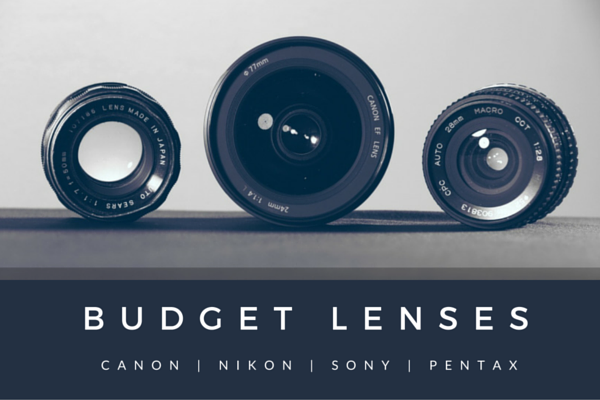 Before we get to the budget lenses, though, let’s go over some information that will help you figure out what lenses are right for you. Many of the DSLRs I went over in my previous post have smaller sensors than their more expensive counterparts. This difference in size between full-frame sensors and crop sensors means that images captured with the crop sensor will appear closer than images captured with a full-frame sensor. To find out how your camera’s sensor will affect your focal length, find your camera’s crop factor and multiply it by a lens’ focal length. That will give you the actual focal length for that lens on your camera. For example, Canon ASP-C cameras have a crop factor of 1.62. So if I want to use a 50mm lens on one, I’d multiply 1.62 by 50, which is 81. So on this hypothetical camera, a 50mm lens would have a focal length of about 80mm. To appeal to consumer-level customers, Canon and Nikon both make lenses specifically for their crop sensor cameras. These lenses are often a more affordable way to upgrade your photography. Whether or not one of these would be a good choice for you depends largely on what sort of upgrades you expect to make in the future. This is important, especially for Canon’s EF-S line, because while they may take great photos with the camera you have now, if and when you upgrade to a full-frame camera, those EF-S lenses will become useless. They don’t fit on full-frame Canons. An EF lens, which might cost more, will work with both your crop-sensor DSLR and the full-frame DSLR you hope to buy one day. Nikon DX lenses are similar to Canon EF-S lenses in that they’re made for Nikon’s DX crop-sensor cameras. They have a big advantage, though, in that they will also fit Nikon’s FX full-frame DSLRs. The images will be cropped, but at least the lenses don’t become useless when you upgrade cameras. Now, on to the lenses! Canon’s “Nifty Fifty,” as it’s come to be known, is the first non-kit lens many photographers buy. For many years, the Canon EF 50mm f/1.8 II held the unofficially-named role as the nifty fifty, which is an affordable 50mm prime lens that’s usually priced in the neighborhood of $100. 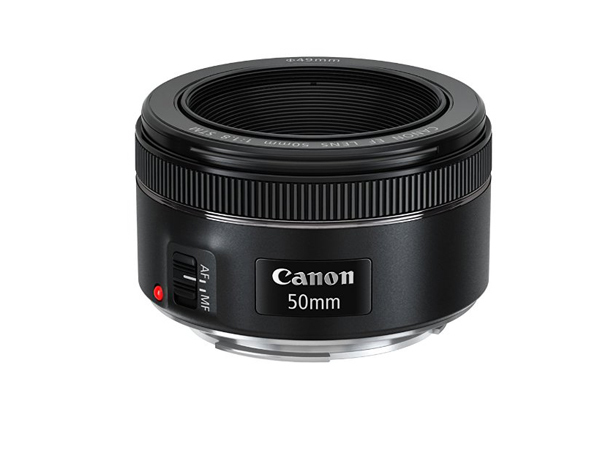 Last year, Canon released their new nifty fifty lens, the Canon EF 50mm f/1.8 STM. While its predecessor was loved by many photographers, the 50mm II had a few problems. The new version includes improvements in build quality, aperture blades, and in many other areas, too. 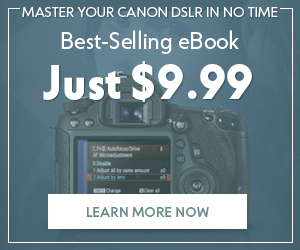 Using Canon? 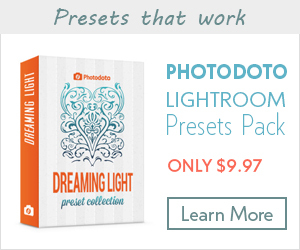 Grab the Photodoto Bundle: Canon Edition for just $39 to save 40% on our best selling e-books and Lightroom presets. 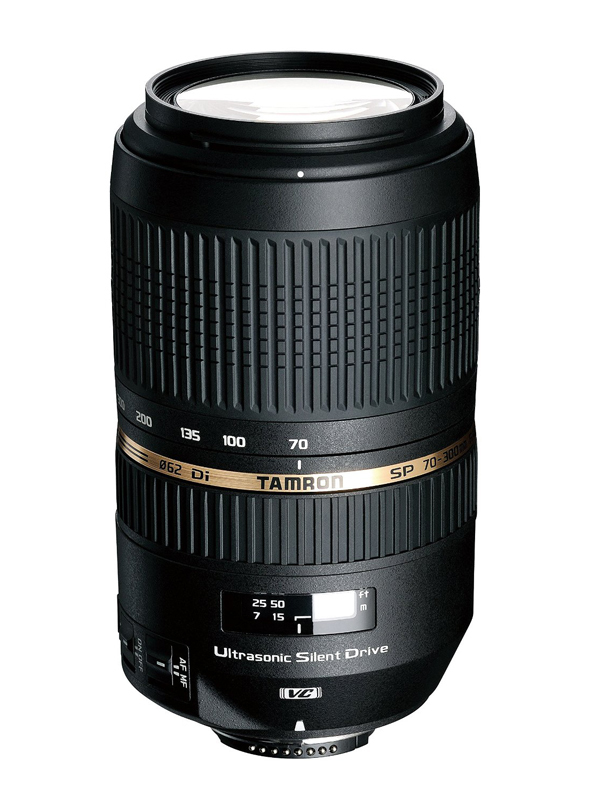 The Tamron SP 70-300mm f/4-5.6 Di VC USD has been one of Tamron’s most popular zoom lenses for several years now. The “USD” stands for “Ultra Silent Drive,” which reduces the noise of the lens motor in autofocus. 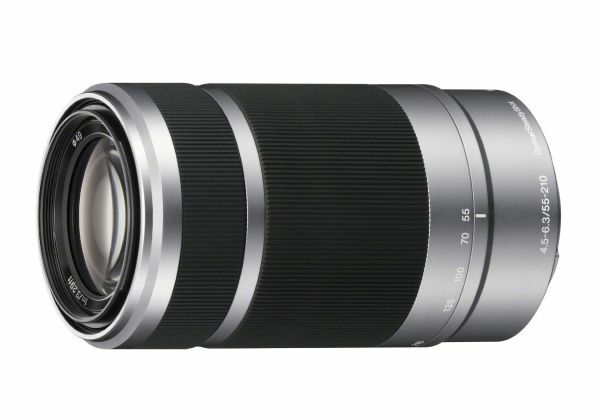 While this lens may cost more than the others on this list, the Tamron SP 70-300mm f/4-5.6 Di VC USD should prove to be one of your most useful and versatile pieces of gear. 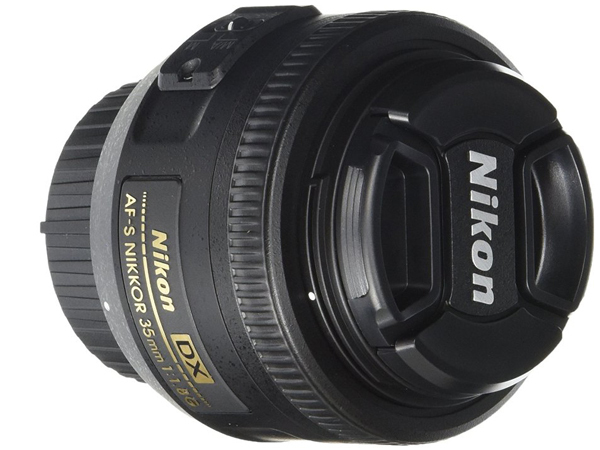 This is the only DX lens on our list, but its sharpness and overall utility, along with its low price tag, may make the Nikon AF-S DX Nikkor 35mm f/1.8G worth the investment. If you upgrade to a full-frame camera later, this lens will be a perfect placeholder on your old crop-sensor camera, making that camera great for those moments when you need to quickly capture a moment. And of course, you can still use this lens on your full-frame Nikon DSLR, as I mentioned earlier. 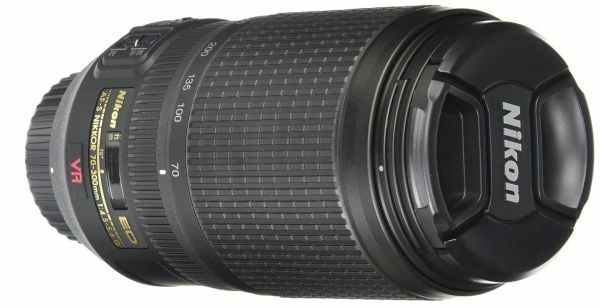 This Nikon AF-S 70-300mm f/4.5-5.6G IF-ED VR is similar to the Tamron zoom lens mentioned above, and at $500, it’s a little pricier. But if you prefer to stick with Nikon lenses, this zoom can’t be beat at this price. 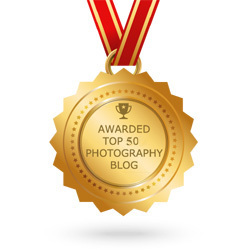 Are you a Nikon photographer? 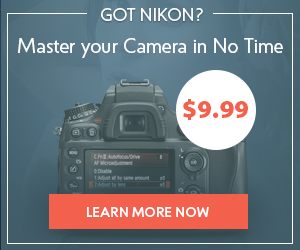 Get the Photodoto Bundle: Nikon Edition to receive our Essential Nikon Camera Guide bundled with 99 Posing Tips Cheat Sheet, and Lightroom presets for just $39. That’s a 40% discount, so don’t miss it out! Sony often makes a visual statement with its products, and the Sony E 55-210mm f/4.5-6.3 lens with a silver finish helps supports that notion. And the 55-210mm focal range will work great in a number of shooting situations. While Canon and Nikon seem to rule the world of DSLRs, Pentax has and continues to produce some great camera gear. 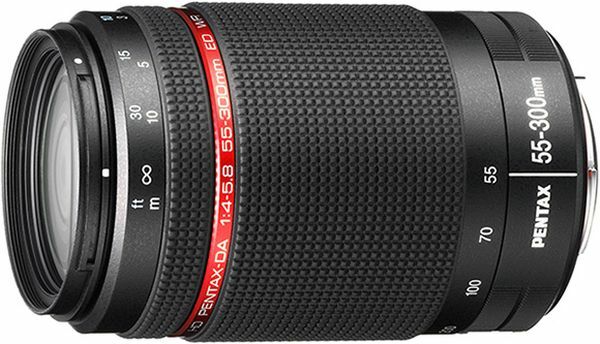 Case in point — the Pentax HD DA 55-300mm f/4-5.8 ED WR. The “HD” in the name refers to Pentax’s exclusive High Definition coating, which reflects less light and greatly improves the sharpness of the images it captures. The world of lenses is large and complex, filled with more options than you’ll ever need in a single lifetime. So even if none of our suggestions seem like a good fit for you, hopefully you at least have a better idea of how to find the lens that suits your needs.